Do you know the history of this West Plaza block? Today, we look at residences and businesses in the West Plaza neighborhood, from 45th Street south to 46th Street, from Bell to State Line. 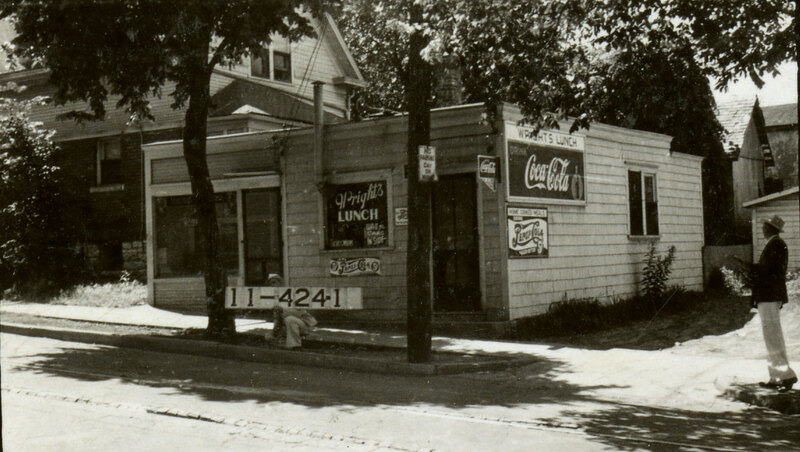 The block included several businesses including Phillips Market and Wright’s Lunch on 45th and a number of small residences. The slideshow we have posted below shows the structures that existed that year. But we would like your help. Do you remember this block in 1940 or in the years since? What special memories do you have of this section of this area? We’ll share your history and help to preserve it on our website. Would you like us to focus on your block next week? I don’t know anything about the photos, but I sure hope someone else does. This is my neighborhood, and I’d like to know more about each of these houses and buildings. I just moved to the West Plaza neighborhood in July, and I’m enjoying your historical series. Although I lived in Platte County the past 45 years, I’ve always been involved in activities in the midtown region and love living here, now! I would love to know more about this area; my life began here. Great photos. There must be some stories here, waiting to be told.